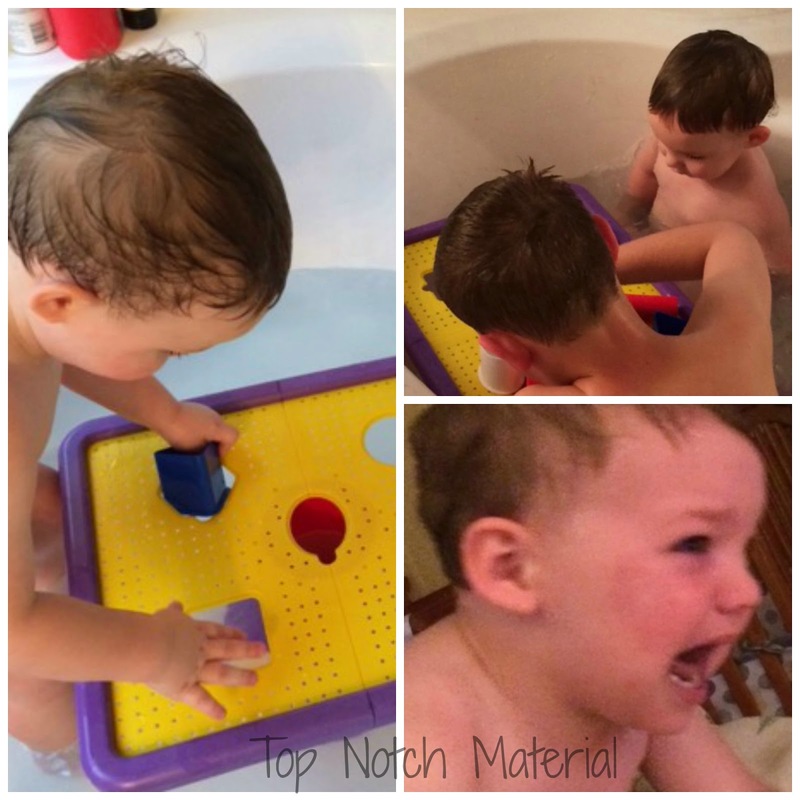 Top Notch Material: Tubby Table- Educational Bath Time Toy! Tubby Table- Educational Bath Time Toy! When I was first contacted to check out the Tubby Table, I did not know what kind of a hit it would be with my son. After all, he is a very technologically savvy little 20 month old boy who loves things that light up and make noise. Boy, was I shocked at his reaction to the Tubby Table! He now spends at least an hour in the bath. He loves this table! He loves that they table is equipped with shape sorter cups, that you can fit like a puzzle piece. He uses it to play with other bath toys, and much to my surprise, his 7 year old big brother loves it too! They "set up shop" and pretend to be making and selling stews and drinks from the Tubby Table. Other than their being a little too much bath water consumed, I can see no flaw in this table! My boys both love it! I am amazed that something so simple can be such a huge hit! After playing over an hour each and every night, we get the same reaction- screams (see picture)! My son does not want to get out of the bath anymore because he loves his Tubby Table so much!! He has even begun to run and jump into the bath during the day, with his clothes on, just to play with the Table, so now I take it out of the bath each night so he can play with it during the day too! 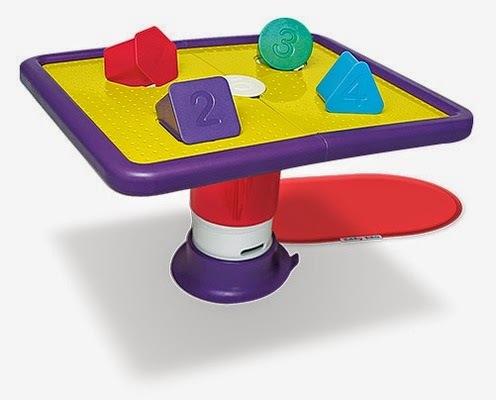 "Based on the notion that kids learn through play, the Tubby Table includes 5 colored, shaped, & numbered cups to develop both cognitive and fine motor skills. Children keep coming back to the Tubby Table for endless enjoyment with the included toys as well as their favorite bath time toys. Whether its a tea party with your princess dolls or a battle of the action figures, The Tubby Table keeps water play in the tub and off the bathroom floor. No more wet floors means parents can sit back and relax while kids enjoy their bath time." Tubby Table is definitely one of the bigger hits we have had in our home, and we have LOTS of toys!! If I had known it would be this much fun for BOTH my boys I would have purchased one much sooner! At $39.99, it is the perfect Christmas gift for your preschooler! Es maravilloso que cada dia saquen mas juegos para el aprendisaje, y entretenimiento de los niños. Lindo bebe! !